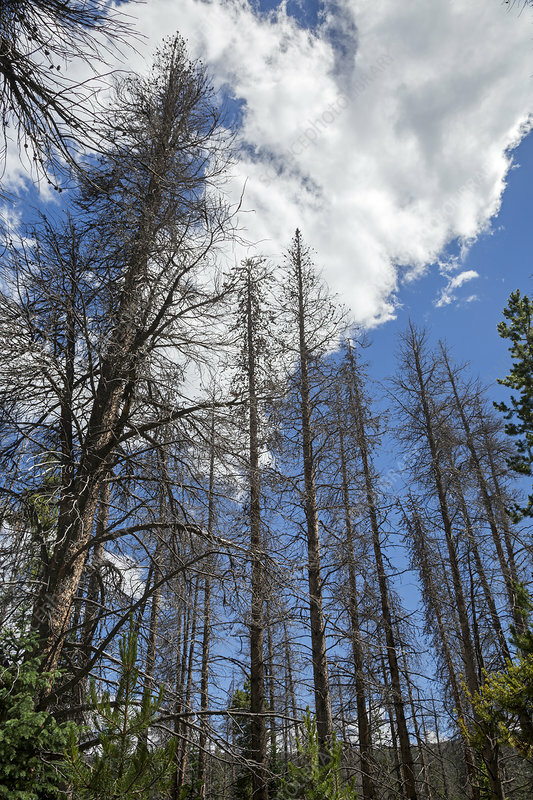 Trees killed by pine beetle outbreak. Pine trees killed by an outbreak of mountain pine beetles (Dendroctonus ponderosae). This beetle has killed millions of acres of pine trees in the American west. Global warming is expected to increase such outbreaks because very cold weather is needed to kill the beetles. Photographed in July 2015, in the Eagles Nest Wilderness, near Silverthorne, Colorado, USA. This wilderness area is part of the larger White River National Forest in the Rocky Mountains.